important for their all-round development. 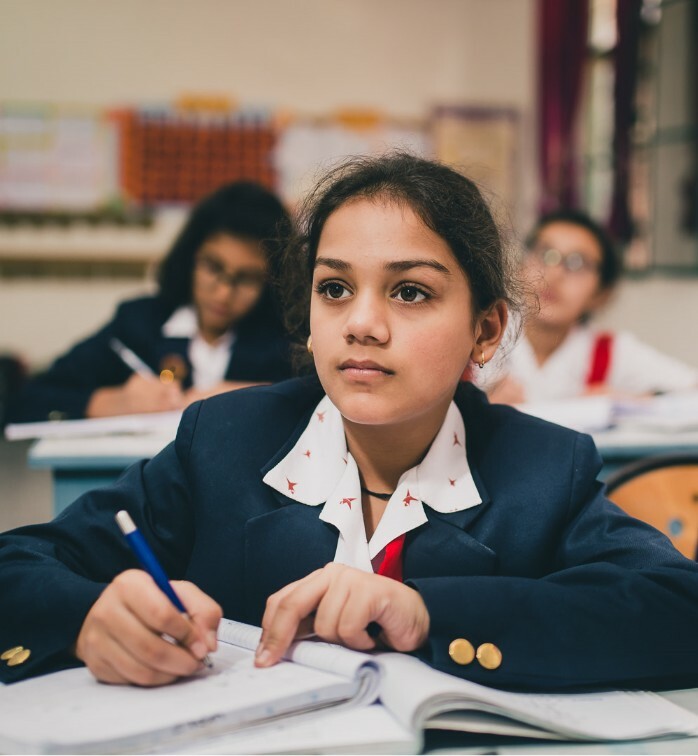 Students develop an understanding not only of the content being taught in class, but also develop skills that are important for their all-round development. 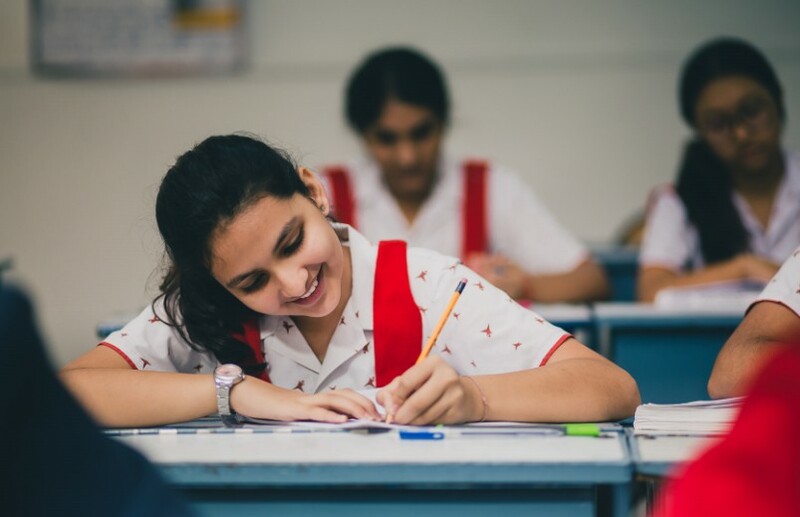 The Middle School curriculum is designed as per the guidelines laid down by CISCE. Our curriculum is very holistic in nature and combines both the scholastic and the non-scholastic programs. 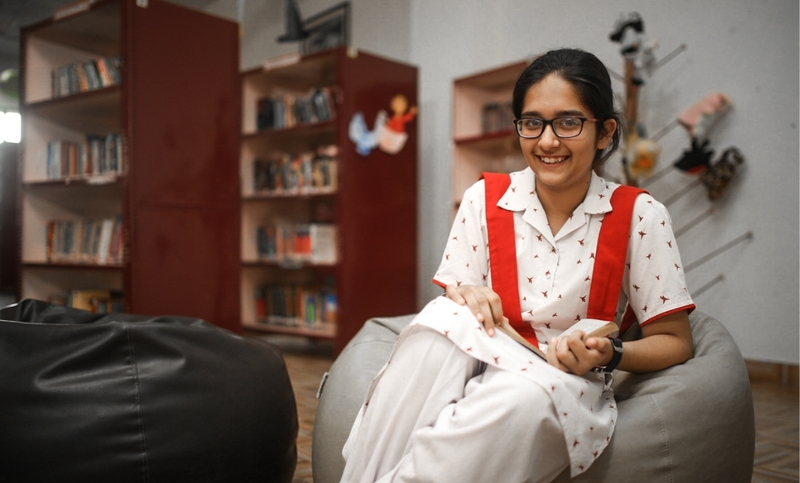 Under the scholastic subjects, we cover English, Hindi, Mathematics, Science, Social Science and Computer Applications. 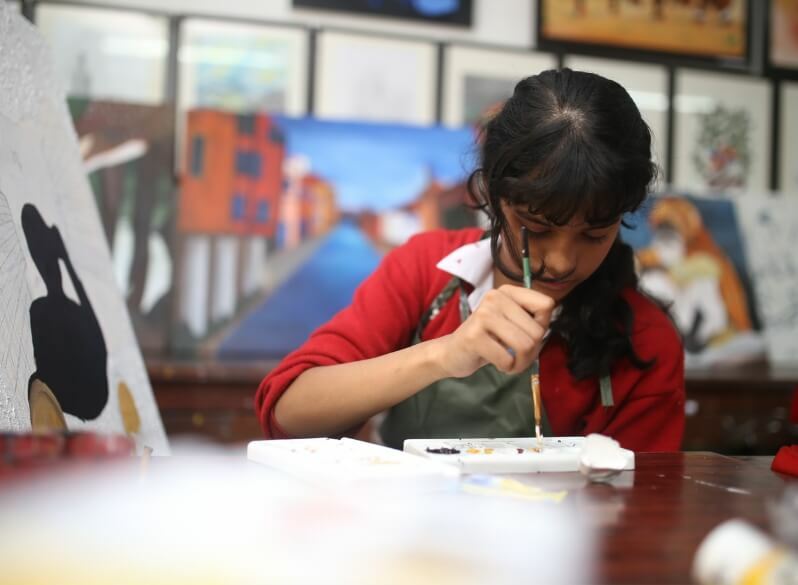 Under the non-scholastic subjects, we provide subjects such as Dance, Instruments (both Indian and Western), Vocal Music, Fine Art, Craft and Pottery etc. We also offer Sanskrit and French as the third language to the students in the Middle School. Apart from the subjects mentioned above, we also conduct classes on life skills and for general awareness where students build an understanding of various global events. The use of ICT in the curriculum to develop amongst the students, the skills of research and presentation and for them to understand the global implications of the topics being taught in class. Cross curricular projects to facilitate meaningful learning and to be able to see the multidisciplinary nature of a topic being addressed in class. Identification and development of skills in each of the subject areas to ensure real learning and growth. Looking at global connections for topics taught in class to understand inter-connectedness, sustainable development and sensitivity to communities. Project based learning to ensure that the students take ownership for their learning and there is a genuine spirit of enquiry in the learning process. understanding not only of the content being taught in class, but also develop skills that are important for their all-round development. 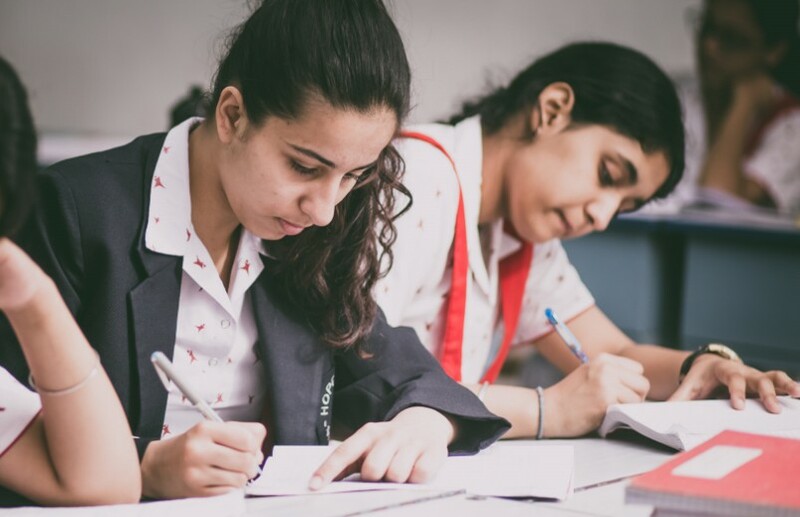 To ensure optimum learning, regular workshops are conducted for teachers to ensure that they are at par with the latest teaching methodologies and strategies. All students who go through the curriculum, not only develop the required content knowledge and skills, but also the ability to lead and take responsibility for their learning.